LOS ANGELES, CA — Watch live streaming coverage of the activities making up the 2018 State Farm All-Star Saturday Night on Feb. 17. The night’s action will start with the Taco Bell Skills Challenge, followed by the JBL Three-Point Contest and closing out with the Verizon Slam Dunk. Live Day 2 coverage from The STAPLES Center will be on TNT and streaming online at TNT Overtime. The 2018 Taco Bell Skills Challenge participants include Joel Embiid (76ers), Al Horford (Celtics), Lauri Markkanen (Bulls), Buddy Hield (Kings), Jamal Murray (Nuggets), Andre Drummond (Pistons), Spencer Dinwiddie (Nets) and veteran Lou Williams (Clippers). New York Knicks forward Kristaps Porzingis, the defending champion, is injured and will not take part in the 2018 NBA All-Star event. Meanwhile, the participants in the 32nd JBL Three-Point Contest for 2018 include defending champion Eric Gordon of the Houston Rockets and 2016 winner Klay Thompson of the Golden State Warriors. 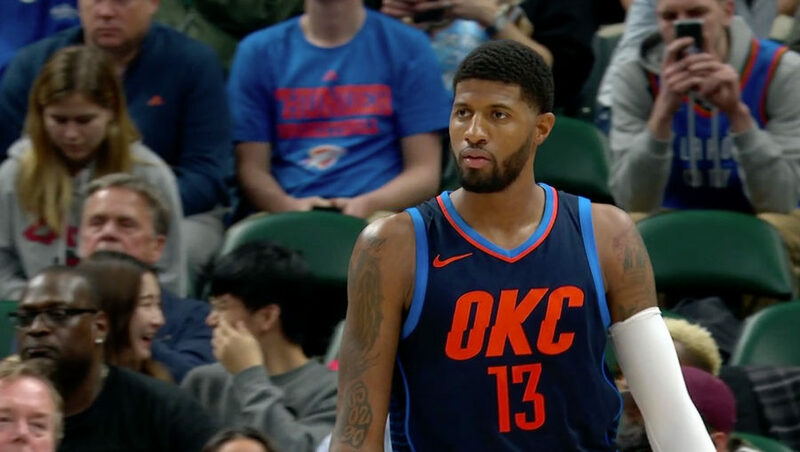 The pair will be joined by Bradley Beal (Wizards), Paul George (Thunder), Devin Booker (Suns), Kyle Lowry (Raptors), Tobias Harris (Clippers) and Wayne Ellington (Heat). Closing out the night are the high flyers who will be participating in the 2018 and 33rd Verizon Slam Dunk contest. Victor Oladipo (Pacers), Larry Nance Jr. (Cavaliers), Dennis Smith (Mavericks) and Donovan Mitchell (Jazz) will battle in the throw-down contest that is expected to bring lots of aerial creativity at Staples Center. Aaron Gordon of the Orlando Magic, the 2016 Slam Dunk runner-up, was selected to take part, but was forced to withdraw from the contest due to injury. Gordon was replaced by Utah Jazz’s high-flying rookie Mitchell. Nance Jr. was a finalist for Dunk of the Year last season.